Lawrence of Arabia is one of the finest films ever made. It is magnificent, epic, and just a grand and beautiful thing to behold. Maurice Jarre's score is one of the most atmospherically gorgeous soundtracks ever composed. David Lean? Well, the man was a Film God, plain and simple. I feel very fortunate that I was able to see Lawrence on the big screen at the Uptown here in DC back in 1989, just before shipping out for Moscow. (Of course, I didn't find any rats in the seat next to me back then, luckily enough.) I saw it with my friend HoyaMEB, and it was something like a religious experience. Discovering the nature of the real T.E. Lawrence later in life was an eye-opener for me. Flaws, quirks, dark secrets, and all, he remains an intriguing and troubled figure. Back in '86, I remember spending a good hour in the National Portrait Gallery in London, my eyes soaking up gorgeous photographs of Lawrence - richly detailed in timeless black and white - and wondering how he would have fared as a man in our day. "Do you think I'm just anyone? Do you?" 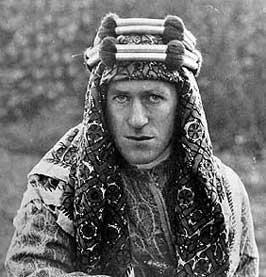 Now, the Imperial War Museum in London is staging an exhibit on Lawrence and the changing perception of his life and his impact on the development of the modern Middle East. You have to wonder what he'd think of the sorry state of affairs today. Of course, he helped lay some of the groundwork for the mess. Unwittingly, perhaps. But he has a measure of culpability, along with the lousy politicians of the day. Reporter to Jackson Bentley: Mr. Bentley! 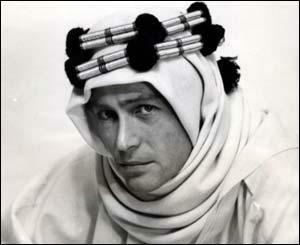 You must know as much about Colonel Lawrence as anybody does. Jackson Bentley: Yes, it was my privilege to know him and to make him known to the world. He was a poet, a scholar and a mighty warrior. [after reporter leaves] He was also the most shameless exhibitionist since Barnum & Bailey. I would kill to go see this exhibit. Of course, it helps that the IWM is one of the coolest museums on the planet (Duxford Air Show - hell yeah!) If you're headed to London and have any interest in history, I highly recommend a visit. Be sure to take a ride in the WWII bomber flight simulator. Helluva thing. I'll give ya a prize if you come out of that ride without bruised ribs. General Allenby: I believe your name will be a household word when you'll have to go to the War Museum to find who Allenby was. You're the most extraordinary man I've ever met! T.E. Lawrence: Leave me alone! General Allenby: Well, that's a feeble thing to say. T.E. Lawrence: I know I'm not ordinary. General Allenby: That's not what I'm saying. . .
T.E. Lawrence: All right! I'm extraordinary! What of it? What of it, indeed? Guess I'll have to make it to the Imperial War Museum to find out. Lucky bastards in London. I envy you. T.E. Lawrence has long fascinated me. I even did a blog entry on him back in August. 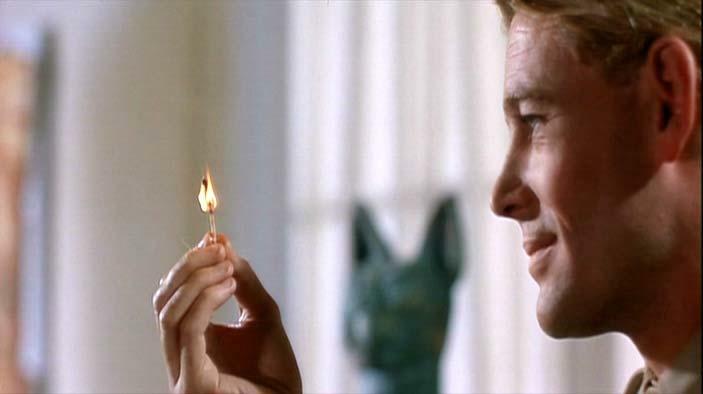 It was because of Lean's Lawrence of Arabia that I read Lawrence's Seven Pillars of Wisdom and sought out books about Arab culture and deserts. David Lean is also one of my favorite directors. I'd be hard pressed to name my favorite film of his. His "eye" and his directing skills were superlative. We used to get movies like Great Expectations or Ryan's Daughter and now we get dreck with Adam Sandler in it.